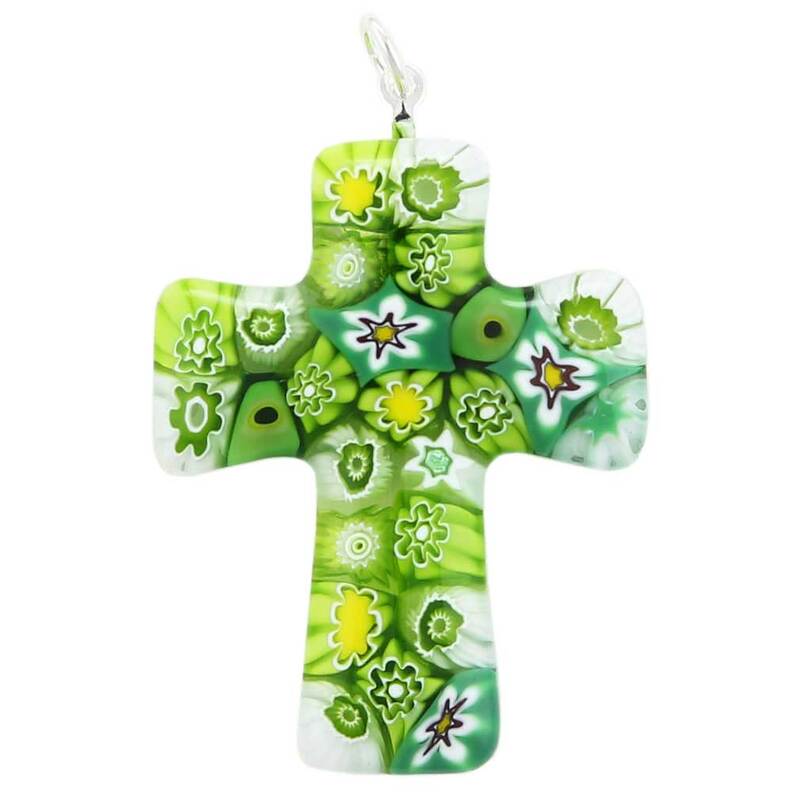 This stylish Venetian cross pendant draws attention with a distinctive look that is sophisticated yet modern, combining the classical form with richness of colors and unique design reminiscent of the ancient Venetian mosaics. 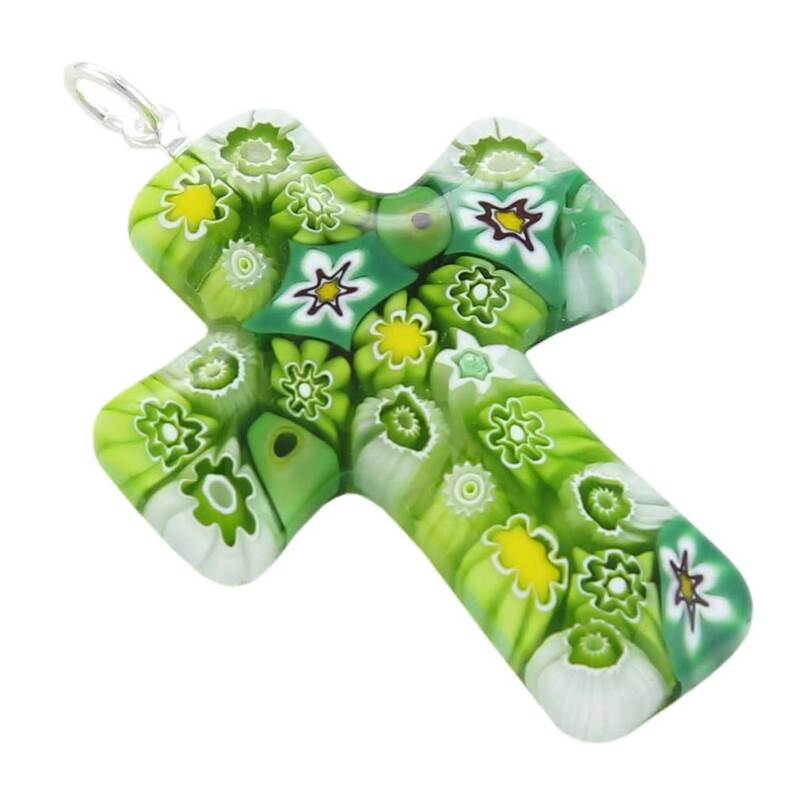 Created in ancient labor-intensive decorative technique called Millefiori (which means "a thousand flowers" in Italian), this pendant looks effortless but requires the level of skill and experience that only the best of Murano Glass artisans have. 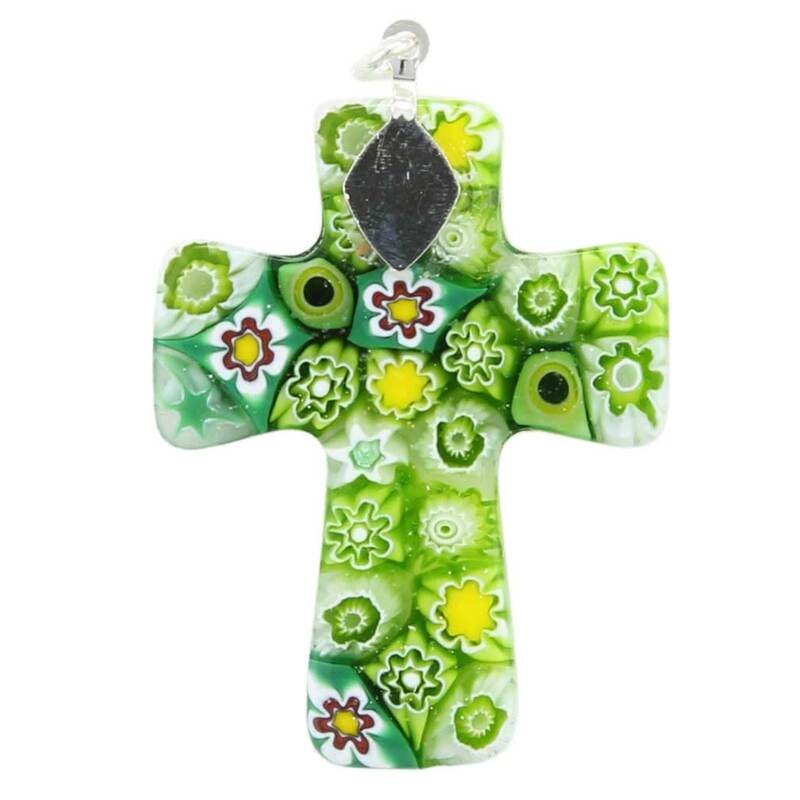 Beautiful and special, Murano Glass Cross pendant conveys the uniqueness and spirituality of Venice and is sure to become the highlight of any jewelry collection. 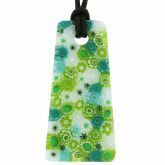 The pendant measures 1 1/2 inches in height and the same across. The bail is silver-plated and fits any of our silver chains or silk or cotton cords which can be selected from Chains and Cords product category.